Nanotechnology has found a number of applications in electronics and healthcare. Although the uses of this technology have been limited to specific applications within the textile field, it has been increasing rapidly because of its unique and valuable properties. This article presents an overview of nanotechnology applications for protective textile manufacturing. The main focus is on the benefits of nanotechnology, recent developments, limitations and future trends of nanotechnology for protective textile manufacturing. Protective textiles are garments or other fabric related items that are used to protect the wearer from environmental hazards. Protective clothing is currently an integral part of Personal Protective Equipment (PPE) and covers a major class of textiles, which are labelled as technical textiles. Protective clothing contributes 7% to the total technical textiles demand in the world market, illustrated in Figure 1. The use of technical textiles as protective clothing tends to produce low cost and low weight products with better reliability in service and greater energy savings. There have been growing demands for protective textiles because of rising health and safety concerns for those exposed to harsh environmental effects that may result in injuries or death. 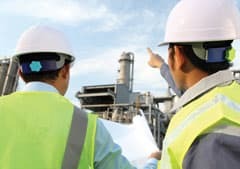 Moreover, there are other factors such as stricter regulations for personal safety in the workplace, superior performance, safety requirements and the need for better management of multiple personal risks, which have driven further extensive research to develop protective clothing with improved performances. The European commission has therefore chosen protective textiles as one of the areas of lead market initiatives. Nanotechnology not only produces minute structures but can also give thorough, inexpensive control of the material’s structure. The functional properties produced by conventional methods are often not durable after laundering or wearing. With nanotechnology, however, it’s possible to provide highly durable properties to textile materials. This is due to their notable characteristics such as large surface area-to-volume ratio, extremely small pore dimensions and superior mechanical properties, therefore offering better penetration into the fibres and better durability of functional finishes. The benefits of nanotechnology could be exploited in protective textile manufacturing by using nanocomposites and nano-scale fibres, functional nanoparticles, novel surface treatments and coatings that could potentially provide improved protection together with better comfort. Extensive research has been carried out to develop nanotechnology based protective textiles to make smart or intelligent textiles alongside defence and security applications, ballistic protection, fire protections, Ultraviolet (UV) protection and protection from bacteria. Nanofibres-enabled protective textiles have the potential to detect chemical and biological warfare agents effectively because of their ability to filter and destroy harmful toxins. The nanofibres’ composites were prepared by mixing metal oxide nanoparticles such as magnesium oxide with a range of polymer solutions, and incorporated into membranes. The resultant products have been tested for warfare agents and found to be more effective than the currently used charcoal. Moreover, the nanofibres can serve as carriers of active functionality that can detoxify the warfare agents without adding extra weight to textiles. Nanofibres filled with metal oxide nanoparticles can be incorporated within clothing to provide enhanced protection against aerosols. In recent studies, nanofibres have shown great potential to be used for ballistic protection. One company is thought to be developing body armour by using a nanocomposite based on inorganic fullerenes (IF), which is twice as strong as any other impact-resistant material currently used, and five times stronger than steel. Mylvaganam and Zhang have investigated the potential of using carbon nanotubes against ballistic impact. They summarised from their study that body armour of only 600µm in thickness, made from six layers of 100µm carbon nanotube yarns, may bounce off a bullet with muzzle energy of 320J. They also mentioned that the ballistic resistance capacity is greater at the centre of a carbon nanotube, and a tube with a larger radius can withstand higher bullet speeds. Flame retardant protective textiles provide an opportunity for nanotechnology to take over the existing technology due to the health and environmental impacts of existing halogenated fire resistant materials. Wang et al11 have investigated the effects of nano-scaled layered double hydroxides (LDH) and nano-titanium dioxide to improve the fire resistance and anti-ageing properties of fire retardant coatings. Great improvements in the properties were found. A list of economic barriers has been listed in a report by ObservatoryNano on protective materials, which includes procurement restricted to the public sector, requirements to meet strict standards and regulations, protection of intellectual property and lack of available funds. In some cases, it is extremely difficult and complex to process nano-fibres and related products by using conventional textile processes; for example, carbon fibres of nano-size. The EU market size of PPE is estimated to be worth €9.5 to 10 billion and is forecast to grow by 7.6% in the period 2012-2016 because of the rising awareness in personal protection. Similarly, the use of nanotechnology for making textiles is expected to grow rapidly and the highest growth rate is predicted outside traditional textiles such as protective textiles, which are less sensitive to cost. New threats and challenges both in the workplace and in daily life will be an important driver for further developments in the protective textiles market. Moreover, strict regulations and growing workplace standards will push protective textile manufacturers forward to explore new technologies. Therefore, strong socio-economic market drivers will strengthen the diffusion process of nanotechnology applications in protective textiles manufacturing. Nanotechnology based protective textiles are still at the development stage and extensive research is required for the successful production of these products on commercial scale. Moreover, the health and safety concerns related to nano-based products require thorough investigation.